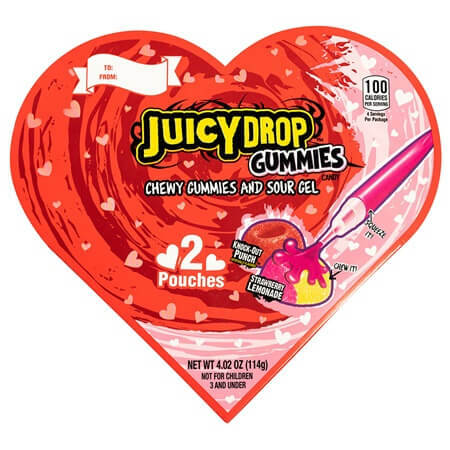 Juicy Drop Gummies Heart Box is a fun alternative for those who are not chocoholics. Valentine's Day usually includes giving chocolates and flowers, now there is a unique choice in the shape of round gummies. 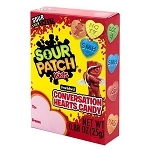 Each of these heart boxes includes two pouches of gummies and a sour gel pen. Gummy flavors are knock-out punch and strawberry lemonade. There is a dip in the center of every piece to squeeze the desired amount of sour gel into. 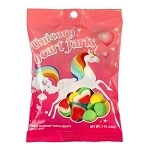 This wholesale candy is a great choice for your kids since they can have a little fun as they eat. 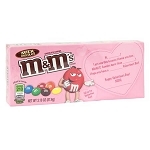 The heart box offers a spot where anyone can write who the gift is to and from. Order yours today!